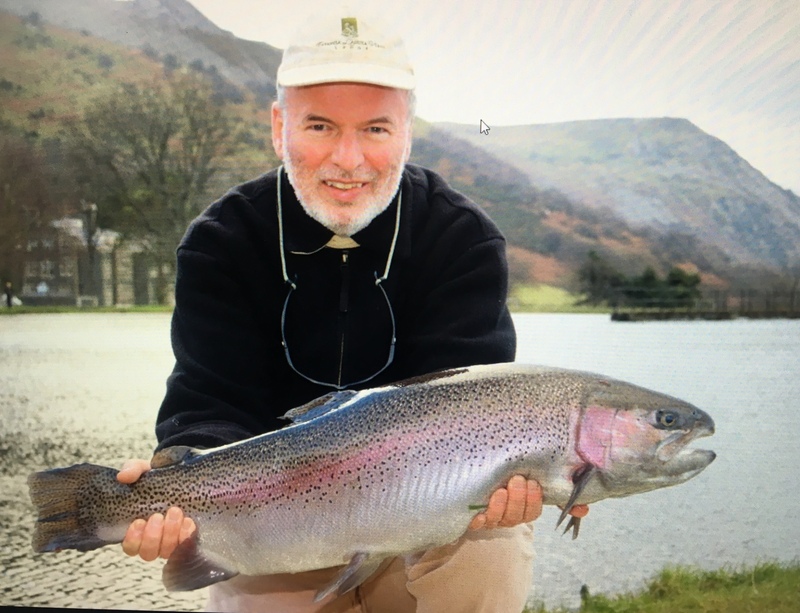 “At Graiglwyd the fish were in mint condition … Caught my biggest ever trout there!! We stayed in one of 5 cottages on site. Superb throughout and everything was 5* with tonnes of space." Graiglwyd Springs Trout Fishery, located in the village of Penmaenmawr near Conwy. 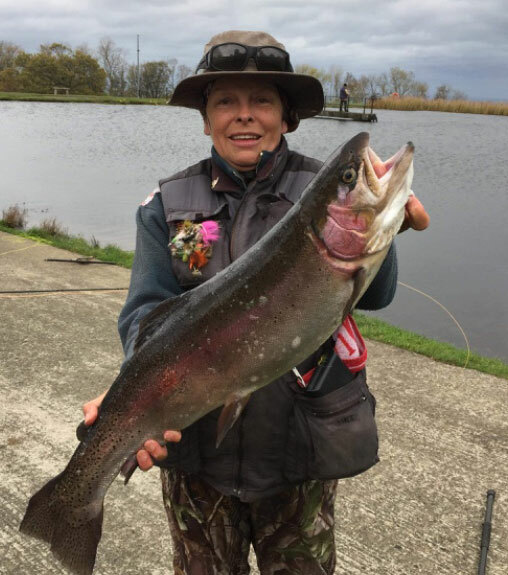 This well established Troutmaster fishery has gained a national reputation for excellence in fly fishing and is open throughout the year. 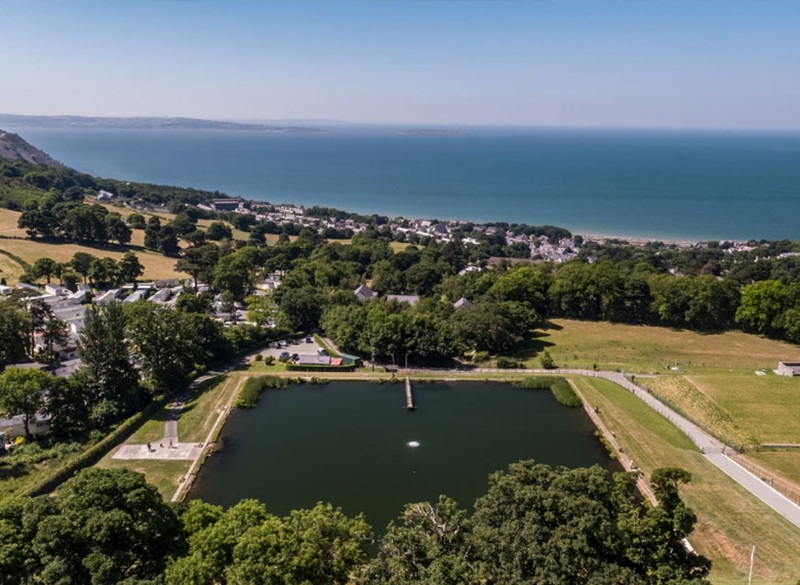 The two and a half acre lake is located on the edge of the Snowdonia National Park in scenic and picturesque surroundings. At Graiglwyd Springs Trout Fishery stocking occurs regularly. The stocked trout range in size from 2lb to 22lb, with doubles included when stocking. 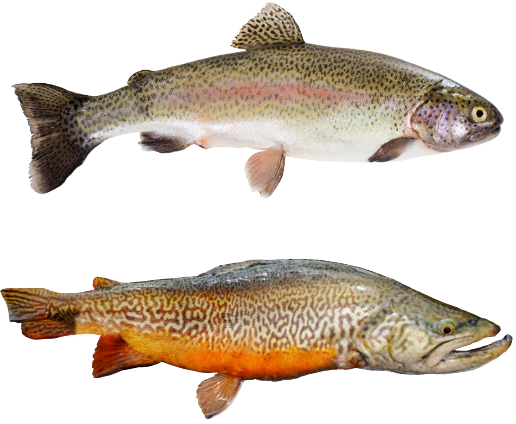 Several different species of trout are stocked including Blues, Rainbows, Tigers and Browns which helps to give variety to a day’s fishing. The trout are reared on site which explains their hard fighting nature. This mixture of sizes and stocking facilities makes this fishery unique within North Wales and helps to ensure a fishing experience second to none. Children under 14 enjoy a £5 discount on all Sporting tickets. Our latest rules are on display in the fishery. Since its opening in 1992 the quality and quantity of facilities found at Graiglwyd Springs Trout Fishery has steadily improved to provide everything you need for an enjoyable and relaxing day’s fishing at your fingertips. The purpose-built lodge incorporates a range of facilities including toilets, tackle shop, free coffee/tea, fly fishing lessons, a seating area and Aga to keep you warm. You are guaranteed a warm welcome by the team at Graiglwyd Springs Trout Fishery, whether you are an expert or a novice. Tackle for sale, flies, leaders, etc. We stock Flash Attack flies and Grey’s tackle. A little local knowledge at the beginning of the day is always available. The spring-fed lake is 38ft deep with shallow corners, ideal for stalking. With a minimum stocking weight of 2lb, doubles are caught mainly 10-15ft down. With 18 pegs and a pier extending well in to the lake, you’ll enjoy a variety of challenges with stunning views in between. Blood worms white & black buzzers being most popular, minkies, damsels other lures are always good on sinking lines. Sedges and CDC’s are the most popular dries.